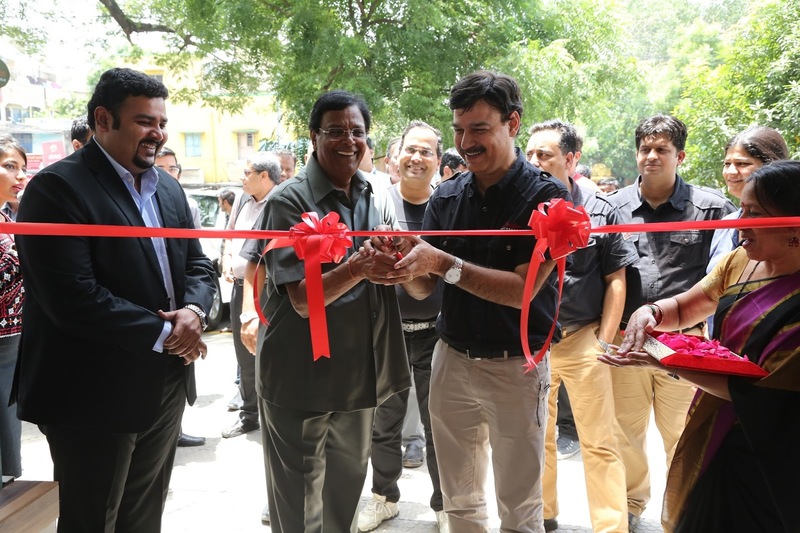 Dealership inaugurated by Mr. Pankaj Dubey, Managing Director, Polaris India Pvt. Ltd.
Chennai; July 17th, 2015: Bringing the iconic Indian Motorcycle® brand closer to biking enthusiasts of Southern India, Polaris India Pvt. Ltd., a wholly owned subsidiary of Polaris Industries Inc., the world leader in Off-Road and All-Terrain Vehicles inaugurated its third Indian Motorcycle®dealership in the country in Chennai, Tamil Nadu. The state of the art showroom was inaugurated by Mr. Pankaj Dubey, Managing Director, Polaris India Pvt. Ltd. and Mr. Satish Mehta, Executive Director, JMB Motor. 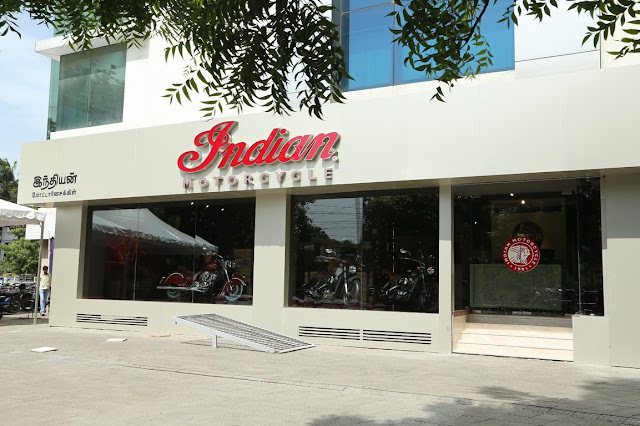 Speaking on the occasion, Mr. Dubey said, “We are very excited and ecstatic to inaugurate our third Indian Motorcycle® dealership in the country in the strategic location of Chennai. 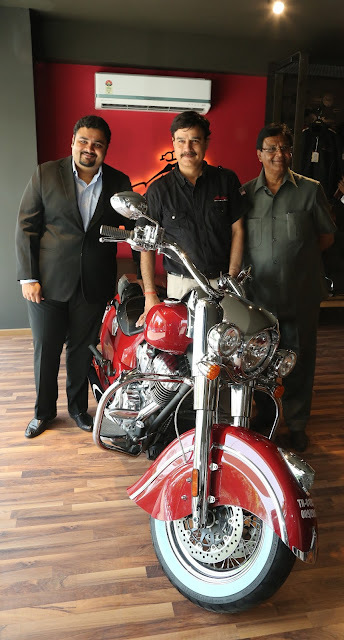 Mr. Pankaj Dubey and Mr. Satish Mehta also handed over the keys of the legendary Indian® Scout™ to their proud owners on the occasion. Located in the hub of Chennai at at Gee Gee Universal, No. 2, MC Nicholas Road, Chetpet, Nungambakkam, the dealership combines global architectural standards and infrastructure synonymous with the reputed legendary brand under one roof. It will have on display the entire range of Indian Motorcycle® currently available in the Indian market such as Indian® Roadmaster™, Indian® Chief Classic, Indian® Chief Vintage, Indian® Chieftain, Indian® Chief Dark Horse® and Indian® Scout™. Besides being a visual delight, the dealership has house-trained service support staff offering global standards of after-sales and service support adding to the overall experience of owning an Indian Motorcycle®. Indian Motorcycle®, a wholly-owned division of Polaris Industries Inc. (NYSE: PII), is America’s first motorcycle company. Founded in 1901, Indian Motorcycle® has won the hearts of motorcyclists around the world and earned distinction as one of America’s most legendary and iconic brands through unrivalled racing dominance, engineering prowess and countless innovations and industry firsts. Today that heritage and passion is reignited in India. Polaris India brought the entire Indian Motorcycle®’s Chief® range – Indian® Chief® Classic, Indian® Chief® Vintage, Indian® Chieftain™, and Indian® Chief® Dark Horse® to India. The Indian® Scout™ and Indian® Roadmaster® are also available in India. The entire Indian Motorcycle® range is available across showrooms in India at Gurgaon, Bengaluru, Chennai, Mumbai and Ahmedabad. Polaris India Pvt. Ltd. was established as a wholly owned subsidiary of Polaris Industries Inc. (USA), (www.polaris.com) which designs, engineers manufactures and markets innovative, high quality Off-Road Vehicles (ORV’s), innovative All-Terrain Vehicles (ATVs), the Polaris Ranger®, (for recreational and utility use), Snowmobiles, Motorcycles and electric powered vehicles. Polaris India Pvt. Ltd. launched its flagship products including ATVs, Polaris Ranger RZR®, Side x Side Vehicles and Snowmobiles in India on 24th August, 2011. Polaris India, has taken one giant step to revolutionize the Indian market for catering to the very culture of the Indian territory with a wide array of diversified off-road vehicles designed exclusively for our elite customers and various utility use. Polaris India has a strong network of 16 dealerships, 2 International dealerships - Kazakhstan and Nepal, 8 PRS (Polaris Riderz Stop) and 39 Polaris Experience Zones (Off-Road Tracks) to take the off-road riding culture way ahead. They are state-of-the-art dealerships and offer a workshop for service as well. These dealerships are located at Ahmedabad, Bangalore, Chennai, Cochin, Dehradun, Guwahati, Hyderabad, Indore, Jaipur, Lucknow, Ludhiana, Mumbai, Dimapur- Nagaland, Srinagar, and Gurgaon. Information about line of Polaris products, apparel and vehicle accessories are available at www.polarisind.in or from authorized Polaris India Dealers.